The National Advisory Council has proposed a framework for the National Food Security Act. But its potential could be wasted by a flawed approach to the PDS. Two years have passed since the Central government announced that a draft National Food Security Act (NFSA) would be posted on the Food Ministry’s website “very soon.” After prolonged deliberations, a detailed framework for this Act has recently been proposed by the National Advisory Council (NAC), and a draft is on the anvil. This is a “compromise draft” of sorts, heavily influenced by the government’s own concerns and priorities. The NAC framework includes important provisions relating, for instance, to child nutrition, reform of the public distribution system (PDS), and redress of grievances. It has the potential to put all food-related schemes on a new footing, in a rights framework. However, this potential is in danger of being wasted by a flawed approach to the PDS. In this approach, the PDS rests on a three-way division of the population, among “priority,” “general” and “excluded” households. (This article focusses on rural areas.) Priority households, covering at least 46 per cent of the rural population at the all-India level, are to get 35 kg of grain a month at “Antyodaya prices” (Rs. 3 a kg for rice, Rs. 2 for wheat and Re. 1 for millets). General households will get 20 kg at no more than half of the Minimum Support Price. And excluded households, which account for 10 per cent of the rural population, will get nothing. This framework is problematic. First, it hinges on a lasting division of the population into three groups, without any clarity as to how the groups are to be identified. In the absence of any obvious alternative, the NAC is effectively falling back on the Below Poverty Line census to identify priority groups. This is a major setback — the NAC’s entire work began with a virtually unanimous rejection of BPL-based targeting for the PDS. Exclusion errors in earlier BPL censuses were very large, and the next BPL census is unlikely to fare much better, judging from the pilot survey. Second, since identification criteria are left to the Central government, with some discretion for State governments, nobody has guaranteed PDS entitlements under the Act, except for a few ultra-marginalised groups (such as the so-called Primitive Tribal Groups) which have a right of “automatic inclusion” in the priority list. Other households have no legal entitlement to be included in the priority list or, for that matter, in the general list. Therefore, they have no guaranteed PDS entitlements at all. This undermines the basic purpose of the Act. Third, the transition from the current Above Poverty Line-Below Poverty Line framework to the NAC framework is likely to be disruptive. There are at least three major sources of disruption: the creation of an “excluded” category; the transition to a new BPL list; and the switch from household to per capita entitlements. Each of these changes entails a loss of entitlements for significant numbers of households. Meanwhile, the entitlements of other households will be enhanced. Can we expect this transition to happen without major tensions, or even to be completed at all? Fourth, the NAC framework fails to “de-link” PDS entitlements from official poverty estimates, and to prevent a rapid shrinkage of PDS coverage over time. It is well understood by now that official poverty lines in India are abysmally low, and that undernutrition is not confined to households below the “poverty line.” In the NAC framework, 46 per cent coverage of priority groups in rural areas corresponds to the proportion of the population below the “Tendulkar poverty line,” plus a margin of 10 per cent for targeting errors. This is significantly higher than the current BPL coverage of about 33 per cent. But except for ruling out any reduction of PDS entitlements before the end of the 12th Five Year Plan (which is only a few years from now), nothing in the draft NFSA prevents the government from reducing PDS coverage in tandem with official poverty estimates over the years. Fifth, the idea of a universal PDS in the poorest 200 districts was dropped from the NAC framework (after being agreed and placed on record). This was an important idea, because any targeting process here is likely to lead to massive delays, fraud, and exclusion errors. In many of these districts, the local administration has little credibility. Large numbers of poor households are outside the BPL list, and are likely to remain excluded from the proposed “priority” list. Further, targeting is pointless in areas where an overwhelming majority of the population is vulnerable to food insecurity. Launching a universal PDS in these districts would have addressed a large part of the food insecurity problem in rural India in one go, at a small extra cost. Sixth, the NAC abandoned another important idea as it went along: the automatic inclusion of all Scheduled Caste and Scheduled Tribe (SC/ST) households in the priority list — unless they come within the standard exclusion criteria. This will be a major protection against exclusion errors, and a well-justified form of positive discrimination in favour of SC/ST families. But the idea was dropped, on the grounds that it is difficult to reconcile with pre-specified “caps” on the coverage of priority groups at the State level based on poverty estimates. Punjab, for instance, has a low poverty ratio but a high proportion of SC/STs in the population — there is no obvious way to handle this. In short, the NAC framework not only perpetuates the flaws of BPL targeting but also institutionalises artificial social divisions under the law. It is not difficult to imagine the Act being used as a foothold to extend these divisions to other domains. The obvious alternative, a universal PDS, is a ‘no-no’ for the Central government. Is there another way to repair, or at least contain, the damage? I believe there is. Before coming to that, let me mention an interesting finding of recent BPL identification studies (by Reetika Khera, Sabina Alkire, and Himanshu, and others). These analyses, mainly based on the 2004-05 data from the National Sample Survey or the 2005-06 data from the National Family Health Survey, suggest that about 25 to 30 per cent of households in rural India meet simple, transparent and verifiable “exclusion criteria,” such as having a government job, owning a motorised vehicle, or living in a multi-storied pucca house. This suggests a simple but far-reaching modification of the NAC framework: expand the excluded category, but extend “priority” entitlements (35 kg of grain at Antyodaya prices) to all other households. With an exclusion ratio of, say, 30 per cent, the foodgrain requirements will be the same as in the current NAC framework. The financial cost will be a little higher (because all entitled households will pay Antyodaya prices), but the extra cost will be a small fraction of the total food subsidy. In this “quasi-universal” framework, every rural household will be entitled, by law, to 35 kg of grain a month at Antyodaya prices, unless it comes within the well-defined “exclusion criteria.” Everyone will be clear about their legal entitlements. The burden of proof, so to speak, will fall on the government to exclude a household, and poor households will be well protected from exclusion errors. State governments will be free to move even closer to universalisation, if they wish, by waiving some exclusion criteria and contributing additional resources to the PDS (as many States are already doing). Automatic inclusion of SC/STs (unless they come within the exclusion criteria) will be built in. PDS entitlements will be de-linked from the APL-BPL rigmarole, and from poverty estimates. And while some social division will remain, it will be “at the top,” without undermining solidarity among disadvantaged groups. Two further modifications of the NAC framework will round up this proposal quite nicely. First, the idea of a universal PDS in the poorest 200 districts could easily be reinstated, by waiving exclusion criteria in these districts for an initial period of, say, 20 years. Second, the Act could be gradually extended to the whole country, over a period of, say, three years, starting with the poorest 200 districts. This will make it easier to meet the additional foodgrain requirements in a phased manner. This approach is not perfect, but it seems much preferable to the confused, impractical and divisive framework that has emerged from the NAC (or rather, from protracted discussions between the NAC and the government). It will be easy to adapt the current NFSA draft to this approach, while retaining the valuable work that has been done by the NAC on other aspects of the draft. This small modification could make a big difference. New Delhi: To ensure that no starvation death takes place and people are saved from malnutrition as far as possible, the Supreme Court on Saturday directed the Centre to release five million tonnes of foodgrains immediately for distribution in 150 most poverty-stricken districts or other poorer segments in the country. Though it was a holiday for the court, a Bench of Justices Dalveer Bhandari and Deepak Verma held a special sitting and passed the order, considering the urgency and gravity of the matter. The Bench heard Gopal Subramaniam, Solicitor-General; Mohan Parasaran, Additional Solicitor-General; Colin Gonsalves, senior counsel for the petitioner (People’s Union for Civil Liberties), and other counsel for the respective parties and passed the order. The Bench said: “Admittedly, in the 150 poorest districts of India, the problem of malnutrition is very intense and is related to the inadequacy or lack of food in those areas. The Union of India must provide adequate foodgrains for these 150 poorest districts, on a priority basis. Further, it said: “Millions of tonnes of foodgrains are lying in the open for years because of inadequate storage capacity. Admittedly, about 55,000 tonnes of foodgrains rotted in Punjab and Haryana. A very large chunk of foodgrains were destroyed in the recent Punjab fire because the foodgrains were lying in open. In this background, the 5 million tonnes of foodgrains which the Union of India has already undertaken to additionally allocate, must go to the most vulnerable sections of our society and the parties are in total agreement about this proposition. “Looking to the enormity and gravity of the problem, as a one-time measure, it is absolutely imperative in the larger public interest to direct the Union of India to reserve another 5 million tonnes of foodgrains for distribution to the 150 poorest districts or the extremely poor and vulnerable sections of our society. This additional 5 million tonnes of foodgrains would be over and above 5 million tonnes which the Union of India has already undertaken to allocate. “The estimated population of the country as of March, 2010 is 117.67 crores and according to the office of the Registrar-General, Census, the projected population of India as in 2011 is 119.3 crores (Planning Commission working Group on Population Stabilisation for the 11th Five Year Plan). We see no rationale in not distributing foodgrains according to the estimate of the Union of India. The food allocation should be based on every year’s population estimate as carried out by the Planning Commission or the Registrar-General, in the absence of any official census figure,” the Bench said. The right to food law can become another significant contribution of the new government to humane and accountable governance. It can enable the government to redeem its pledge to reach true freedom to all, by exiling hunger from every home. He has a right to food too… In a nation where mammoth wealth and intense destitution have co-existed for millennia, a law that would bind governments to guarantee that no man, woman or child sleeps hungry could be momentous. It is such a right to food law that the newly install ed union government in India has promised its people. A debate about the contours of such a law has begun within and outside government. If passed, it can become — with the Right to Information Act and the National Rural Employment Guarantee Act — the most significant contribution of this government to humane and accountable governance. In free India, famines in which the lives of tens of thousands of people were snuffed out in brief dense moments of dark tragedy have passed into history. But hunger survives in the form of individual men, women and children — and sometimes entire tribal or dalit communities — subsisting for long periods without sufficient food. They are forced to cut back on their food intakes, sometimes reduced to eating one meal a day; or to beg for food; or to eat tubers, grasses and mango kernels that fill their stomachs but provide no nutrition; or sometimes just to drink the starch water left over after cooking rice, which their neighbours give them in tight-fisted charity. They suffer to see their children painfully sleep on empty stomachs, and often succumb to ordinary illnesses which better nourished people would easily survive. Most vulnerable Apart from the enormous toll that hunger takes in terms of human suffering, malnourishment also results in bodies being stunted and wasted and brains not developing to their full potential. Half the children born in this land continue to be malnourished, and two out of three women are anaemic, because even within families, women eat the least and only after all others have been fed. Governments so far have tended to deny starvation, and been unsuccessful in reversing malnutrition. Before the intervention of the Supreme Court in 2001, they ran many food schemes, but these were not guarantees: they could be withdrawn or reduced, and there was no obligation on the State that these schemes must cover all needy people. The Supreme Court changed this, by directing that governments could not withdraw any food schemes; and that all children in schools be given hot cooked school meals, all children under six years as well as nursing and expectant mothers supplementary feeding through ICDS, and all vulnerable groups ration cards. But through the right to food act, the State has an opportunity to seize the initiative from the Courts, and instead comprehensively legislate itself to make governments responsible to reach food to all. There are many within government, however, who would like to see a much more minimalist formulation of the State’s obligations under this law. Soon after the President announced that legislating a Right to Food Act was among the new government’s highest priorities, the Ministry of Food and Civil Supplies circulated a proposal which tried to restrict the legal obligations of governments under the proposed law only to supplying 25 kilograms a month of rice and wheat at three rupees a kilogram. This too was only for a small segment of the population which the government deemed to be “poor”. There was a hushed clamour that even this would cast too heavy a burden on the State treasury. But shortly after, the Chairperson of the UPA, Sonia Gandhi, seized the initiative by writing her first letter to the Prime Minister since the installation of this government, proposing a bill that much more comprehensively guarantees adequate food to people who live with hunger. Many people who are chronically denied food have been specifically detailed in the draft she recommended: such as single women, disabled and aged people, street children, bonded workers, people in casual, low paid employment including agricultural labour and rag-picking, the urban homeless, and others. Similar initiatives In her initiative were echoes of the luminous words of Lula da Silva, President of the Republic of Brazil, when his country launched a similar food guarantee, called “Hunger Zero”. He had pledged, “We will make it possible for people in our country to eat three square meals a day, every day, with no need for handouts from anyone. Brazil cannot go on living with so much inequity. We must overcome hunger, extreme poverty and social exclusion. Our war is not to kill anyone. It is to save lives”. The sub-title of Brazil’s Food Security Policy was equally iridescent: “Brazilians who eat helping those who don’t”. It is precisely these ethical and political convictions that India’s right to food law must draw upon if it is to rewrite history: that the first claim over the country’s resources must be of men and women, girls and boys who are the most deprived; that a right to food must impose binding obligations on the governments and people of India to exile hunger from every home; that this would involve redistribution of resources from those with privilege and means to those who are dispossessed; that necessary resources to reach food to every mouth therefore exist; and ultimately that the State must care. The food that this law would guarantee to every person in this country must be nutritious and sufficient for an active and healthy life. It must also be assured: people should no longer have to live with agonising uncertainty of whether their loved ones or they will be able to eat tomorrow. And it should be food that they can access with dignity. A bonded worker, a child searching in rubbish heaps, and a disabled or aged man who stretches out his limbs for alms, possibly may have a full stomach, but without the dignity that every single human being is entitled to. The law must also contain penalties against public authorities who fail to reach food to hungry people. Public authorities can be punished if it proved that they killed a man in their custody. But if a child dies because State functionaries failed in their duties, none face penalties. The law would be toothless unless it changes this. Possible ways There are many ways in which governments under this law would have to reach food to people who are threatened with hunger. For able bodied men and women, it may be sufficient for governments to guarantee employment at decent wages in both the countryside and cities; to subsidise rice and wheat but also pulses and oilseeds; to encourage agricultural production of these foods and to procure these at reasonable prices from all farmers; and to reach food to scarcity areas. But children additionally need nutrition, through breast feeding, in ICDS centres and schools. For children who lack adult protection, like street children, a large network of government hostels alone can secure their food. Women require maternity benefits, and nutrition support to single women. Aged people need adequate pensions, and access to free cooked food in feeding centres. And for urban migrants and homeless people, community kitchens which offer affordable nutritious food are imperative in thousands in every city. This law can help end the suffering of watching one’s loved ones wilt, waste and die because they cannot afford healthy food. It can enable the people and governments to redeem their pledge to reach true freedom to all, by exiling hunger from every home. Several decades before Lula made his resounding moral appeal to his people in Brazil, Gandhiji too had offered us a talisman, to remind us that only those public policies are legitimate which make life better for those who are the most vulnerable and dispossessed. This law provides the chance at last to heed his counsel. The successful implementation of NREGA and the Right to Information Act indicates that the climate is conducive for a far-reaching, rights-based legislation to eliminate hunger and deprivation. Such an act will meet a goal set by Mahatma Gandhi for independent India: ‘the god of bread’ should bless every home and hut. There is an unacceptable extent of under-nutrition and malnutrition in India, which occupies a shameful position in all indices relating to hunger. A large segment of the chronically undernourished belongs to families of small and marginal farmers and landless labour. The position is serious in the case of women and children. Because of maternal and foetal under-nutrition and malnutrition, nearly every fourth child born is under-weight. Such low birth weight children suffer many handicaps including impaired cognitive ability. Thus, poor children are denied even at birth an opportunity for the full expression of their innate genetic potential for mental and physical development. This is inexcusable. The successful implementation of the NREGA and the Right to Information Act indicates that the climate is conducive for a far-reaching, rights-based legislation to eliminate hunger and deprivation. Supreme Court rulings reinforce the view that the right to food is basic to achieving the right to life enshrined in Article 21 of the Constitution. One of the terms of reference the UPA government set in 2004 for the National Commission on Farmers was to “work out a comprehensive medium-term strategy for food and nutrition security in the country in order to move towards the goal of universal food security over time.” The NCF held consultations all over India on the pathways to a nutrition-secure India. Its report was submitted on October 4, 2006. By definition, food security involves every individual gaining physical, economic, social and environmental access to a balanced diet that includes the necessary macro- and micro-nutrients, safe drinking water, sanitation, environmental hygiene, primary healthcare and education so as to lead a healthy and productive life. The food should originate from efficient and environmentally benign production technologies that conserve and enhance the natural resource base of crops, farm animals, forestry, inland and marine fisheries. Food availability: This is a function of home production or, where absolutely essential, imports. Food absorption: The utilisation of food in the body will depend on non-food factors such as safe drinking water, environmental hygiene, primary healthcare and access to toilets. Therefore, while developing legislation for food security, food and non-food factors will have to be considered together on the following lines. Food availability: The government has initiated programmes to increase food production, such as the Rashtriya Krishi Vikas Yojana, the Food Security Mission, and the National Horticulture Mission. Food availability should relate to macro- and micro-nutrients. In addition to protein calorie undernutrition, there is severe micronutrient malnutrition, as for example, of iron, iodine, vitamin A, vitamin B12 and zinc, leading to hidden hunger. The National Horticulture Mission provides an opportunity to introduce horticultural remedies to nutritional maladies. All that is needed is mainstreaming the nutritional dimension in designing the horticulture programme in each agro-climatic area. The other areas which will need attention are: widening the food basket by including local grain varieties like ragi, jowar and millets in the public distribution system; the promotion of community gene, seed, food and water banks in each village, and the establishment of community kitchens modelled on the Indira Gandhi Community Kitchen organised years ago in Pune. These are particularly effective in combating malnutrition in urban areas. The widening of the food basket by including millets, legumes and tubers, which have greater tolerance to adverse conditions, is important in the context of climate change. Food access: The Congress manifesto has said 25 kg of rice or wheat would be provided each month to economically underprivileged families at Rs. 3 a kg. With the initiation of the National Rural Employment Guarantee Act (NREGA), the minimum purchasing power for food security is being created in families living below the poverty line. By adopting the support price policy recommended by the NCF, that is, C2 (total cost of production) plus 50 per cent as has been done in the case of wheat this year, the purchasing power of small and marginal farmers can be improved. Universalisation of the PDS is an idea whose time has come, since there are adequate grain stocks. Food absorption: Here, the schemes dealing with drinking water, sanitation, environmental hygiene and so on should be brought together. The Total Sanitation programme and the Rajiv Gandhi Drinking Water Mission, if implemented with community participation through panchayats and nagarpalikas, will make a difference in promoting effective absorption of food in the body, particularly among children. With such a holistic approach, chronic, hidden and transient hunger can be addressed in a cost effective and meaningful manner. To provide political oversight and to foster a pan-political approach in matters relating to food security, the NCF recommended the establishment of a National Food Security and Sovereignty Board under the chairmanship of the Prime Minister and with members drawn from different political parties, Union Ministers and Chief Ministers. Such a political support and oversight body should become an integral part of the legislation. The National Rural Employment Guarantee Act, which came into force in February 2006, now covers all of rural India. It has generated over 450 crore person-days of employment, a major share going to women and Scheduled Caste and Scheduled Tribe families. Over Rs. 35,000 crore has been paid as wages. The priorities of the work to be undertaken include watershed management and water conservation, drought-proofing, flood protection, land development, minor irrigation and rural connectivity. Such work is important to strengthen the ecological foundations of sustainable agriculture. The NREGA is probably the world’s largest ecological security programme. A major weakness has been the absence of effective technical guidance and support from agricultural and rural universities and institutes. The Union Ministry of Rural Development has taken steps to achieve convergence of brain and brawn, by enlisting the support of Ministries and Departments. Such convergence of expertise for sustainable development will help to enhance farm productivity without causing ecological harm. What is now needed is a convergence for human development at NREGA sites. India occupies the 132nd position among 179 countries in the UNDP’s 2009 Human Development Index. That position may worsen. NREGA workers represent some of the most economically and socially underprivileged sections. Mostly, these workers are undernourished, with poor opportunities for healthcare. Hence, there is need to bring about a convergence of child care, nutrition, health (Rural Health Mission) and education programmes at NREGA sites. Education can be imparted in the evenings, using the joyful learning techniques available in computer-aided literacy programmes. Such a convergence in sustainable development along with convergence in human development will be creditable. There is also a need to raise the self-esteem of NREGA workers, making them feel proud of the fact that they are engaged in checking eco-destruction. Due recognition could be given to the NREGA groups that have done outstanding work in water harvesting, watershed development and soil healthcare with “Environment Saviour Awards”. This will help spread awareness of the critical role NREGA workers play. To begin with, there could be 10 awards covering distinct agro-climatic zones, each worth Rs. 10 lakh. Since these will be group awards, the money could be divided among the workers, depending on how long they have worked. The NREGA will then help to improve both food security and human development index. There are uncommon opportunities to erase India’s image as the land of the poor, hungry and illiterate. To utilise them, an import requirement is a change in the mindset from patronage to partnership and from undervaluing the human resource to considering our youthful population as our greatest asset. In recent years, the battle against hunger has been placed at the centre of the development discourse in India. This has come about mainly due to the efforts of the Right to Food Campaign and as a direct result of a writ petition filed in the Supreme Court of India. The petition was filed by the People’s Union for Civil Liberties in April 2001 to seek legal enforcement of the right to food. This case, popularly known as the Right to Food Case, has since become a rallying point for trade unions, activists, grassroots organisations and NGOs to make the right to food a justiciable right. While the Indian Constitution does not explicitly mention the right to food as a fundamental right, it is implicitly enshrined in Article 21 of the Constitution as the fundamental right to life of every Indian citizen. Article 47 of the Constitution (in the Directive Principles of State Policy) is unambiguous: “The State shall regard the raising of the level of nutrition and the standard of living of its people and the improvement of public health as among its primary duties…” The Indian judiciary, especially the Supreme Court, has on many occasions reaffirmed that the “right to life enshrined in Article 21 means something more than animal instinct and includes the right to live with dignity; it would include all these aspects which make life meaningful, complete and living” (Maneka Gandhi vs Union of India AIR 1978 SC 597). Other statutory constitutional institutions like the National Human Rights Commission (NHRC) have also stated: “There is a fundamental right to be free from hunger” (January 17, 2003). Despite this, India continues to be the site of the most unconscionable levels of chronic hunger and deprivation. Child malnutrition levels in India (46%; height for age data) have consistently been higher than those of even Sub-Saharan Africa and of countries with lower rates of economic growth like neighbouring Bangladesh (45%). The National Nutrition Monitoring Bureau (conducted by the National Institute of Nutrition, Indian Council for Medical Research) estimates that nearly 40% of the adult population in India has a Body Mass Index of less than 18.5, which implies chronic energy deficiency of epic proportions, bordering on a national humanitarian crisis. It is in this context that Indian planners have, over the post-independence decades, put in place some of the biggest food security programmes in the world. The schemes can be broadly divided into four categories: Entitlement feeding (Integrated Child Development Services [ICDS], Mid-Day Meal Scheme [MDMS]) Food subsidy programmes (targeted Public Distribution System [PDS] including Antyodaya and Annapurna Yojana) Employment programmes (National Rural Employment Guarantee Act [NREGA], Sampoorna Grameen Rozgar Yojana, National Food for Work Programme, Rashtriya Sam Vikas Yojana) Social security programmes (National Maternity Benefit Scheme, National Old Age Pension Scheme and National Family Benefit Scheme). These are comprehensive programmes that address the nutritional needs of a person from the time of birth through to old age. The ICDS seeks to take care of the nutritional challenges faced by infants and young children (0-6 years) and pregnant women, nursing mothers and adolescent girls; the MDMS provides meals to all primary school children; the targeted PDS provides subsidised grain to families below the poverty line; the NREGA provides 100 days of employment in 200 districts (to begin with); the social assistance programmes cover the aged who are left out of the social security net. For decades, these programmes have succeeded in preventing the kind of large-scale famines that occurred in the years before independence (such as the Bengal famine of 1943). Yet they have been unable to substantively address the problem of chronic hunger. This is not only because of gaps in implementation, but also because, as many activists argue, they do not provide for sustainable and lasting livelihood options. The problem is compounded by the fact that concerted efforts have been lacking, except in a few states like West Bengal, to undertake land reforms, give communities rights over natural resources, and address the structural causes of poverty. Caste and gender discrimination have also been major contributing factors. On the contrary, the last two decades have witnessed an unprecedented alienation of indigenous people and other marginalised communities from their land and other natural resources; displacement due to industrial projects and large dams in rural areas; and fundamental changes in the nature of poverty with unbridled urbanisation and the disenfranchisement of large sections of urban populations. Global pressures on the Indian economy and the pursuit of deflationary, neo-liberal policies by successive governments from the early-1990s have abetted in this pauperisation of millions of Indians. The importance of the Right to Food Case has to be viewed in this macro-context. Therefore interventions by the Supreme Court through interim orders in this case become critical. The Right to Food Case is perhaps the longest continuing mandamus in the world on this issue. It is also one of the largest and most complex litigations involving a wide range of state and civil society actors in India. More than 400 affidavits have been filed so far; over 60 interim applications have been submitted and 47 interim orders have been passed by the SC in this case over the last five years. The Supreme Court and the right to food In an interim order on November 28, 2001, the Supreme Court converted most food and employment-related schemes into “legal entitlements”. This also implies that the Government of India and state governments cannot change these schemes without the permission of the SC till the final judgment is passed in this case. The campaign hopes that this case will culminate in the right to food becoming a fundamental right that can be made justiciable in any court of law in the country. The interim orders of the SC reflect the growing complexity of the case and the diverse issues being covered. The orders on universalising access to food, especially for children—related to mid-day meals and the ICDS—have been landmarks. On November 28, 2001, the Supreme Court directed state and central governments to universalise the mid-day meals and provide hot, cooked meals to all primary school children in India. The interim order also universalised the ICDS programme, making it mandatory for government to provide supplementary nutrition and the other five services under the ICDS to all children below the age of six, all pregnant women and nursing mothers and adolescent girls. The NREGA emerged out of a separate process of political mobilisation involving a wider range of people outside the Right to Food Campaign, but the environment created by the Right to Food Case facilitated the emergence of the NREGA. Detailed orders have been passed from time to time on some of the schemes, but the PDS has not yet been universalised, nor have many other schemes that come within the purview of this case. The order on the ICDS illustrates the nature of the interim orders. This order explicitly stated that: “We direct the State Governments/Union territories to implement the Integrated Child Development Scheme (ICDS) in full and to ensure that every ICDS disbursing centre in the country shall provide as under: Each child up to 6 years of age to get 300 calories and 8-10 grams of protein Each adolescent girl to get 500 calories and 20-25 grams of protein Each pregnant woman and each nursing mother to get 500 calories and 20-25 grams of protein Each malnourished child to get 600 calories and 16-20 grams of protein Have a disbursement centre in every settlement. ” When the state and central governments did not comply, the SC was compelled to pass further orders on October 7, 2004, directing the Government of India to increase the number of ICDS centres to cover 14 lakh habitations. This would mean starting at least 7 lakh additional centres as a minimum requirement to universalise the ICDS. The same order recommended the increase of the allocation of “rupees one per child per day” to “rupees two per child per day”, with the central and state governments contributing one rupee each. The same interim order also directed the government to make “earnest effort to cover the slums under ICDS” and ensure that all SC/ST habitations got an anganwadi “as early as possible”. 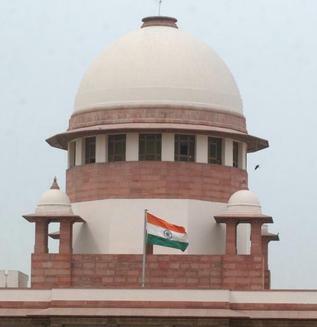 The SC also categorically banned the use of contractors for providing supplementary nutrition and directed the Government of India and all states and union territories to use local women’s self-help groups and mahila mandals to supply the supplementary food distributed in anganwadi centres. Similar detailed interim orders have been passed for virtually every scheme that falls in the ambit of the case. The scope of judicial intervention on the right to food has thus been considerably enhanced through the interventions of the Supreme Court. Simultaneously, the campaigners and individual citizens have started approaching High Courts across the country on matters related to the right to food and the lack of compliance by state governments with the interim orders of the SC. Having secured significant policy changes at the national level, the focus has moved to legal interventions on implementation. In an interim order of October 29, 2002, the SC had directed that the “Chief Secretaries” of the concerned states would be held responsible for any persistent default in compliance with orders. This had led to some ambiguity, with the Delhi and Rajasthan High Courts refusing to entertain petitions pertaining to violations at the state level since the SC was monitoring the schemes. In another order, the SC invoked the procedure of the DK Basu protocol for the right to food and stated that: “Failure to comply with the requirements herein above mentioned shall apart from rendering the official concerned liable for departmental action also render him liable to be punished for contempt of court and the proceedings for contempt of court may be instituted in any High Court of the country having territorial jurisdiction over the matter.” The status of the interim orders In an interim order of May 8, 2002, the SC also put in place an independent mechanism—the Commissioners of the Supreme Court—to ensure compliance by the state and central government with the orders of the court. This is not the first time the SC has put in place such a mechanism, but it is the first instance in the context of the right to food. The Commissioners submit bi-annual reports to the SC. Six reports highlighting non-compliance, structural issues regarding hunger, and the hurdles in implementation have been submitted to the SC so far. The SC then asks the state and central governments to respond to the issues raised by the Commissioners. The Commissioners are also empowered to move contempt of court charges against chief secretaries and other senior state/ central government officials when the non-compliance is wilful and deliberate. The Commissioners have appointed Joint Commissions of Enquiry (JCEs) with representatives nominated both by the Commissioners and the government, to enquire into charges of malfeasance by government officials in food schemes. JCEs have been commissioned in Chhattisgarh, Assam, West Bengal and Madhya Pradesh. These enquiries have led to the dismissal of a few officials, departmental enquiries against some, and suspension from service for others. They have also led to grievances about the implementation of food schemes being addressed. The Commissioners operate through a network of honorary state and national advisers to monitor the progress of the food schemes, suggest reforms in the laws, policies and programmes pertaining to the Right to Food, and, wherever necessary, get directions from the SC and have action taken against erring state/ central government officials. In the five years since the Right to Food Case was admitted in the Supreme Court, many milestones have been achieved, but the journey ahead is much longer than the path traversed so far. For example, the interim orders have resulted in the Government of India sanctioning 1.88 lakh additional ICDS centres so far, with a sanction of another lakh expected soon. At the macro level the budget of the ICDS has gone up nearly three times from Rs 1,500 crore in 2003-04 to almost Rs 4,000 crore for 2006-07. Many state governments have been galvanised into action and the ICDS has been the focus of discussions for the National Advisory Committee of the UPA government. The interim orders on the ICDS have also brought together many sections of civil society. The Hyderabad convention on the Children’s Right to Food and subsequent action by local groups reflect some of the newer forms of mobilisation on this issue. But these significant changes in the ICDS are inadequate when compared to what needs to be done to make the services universal. The Government of India took almost three years to act on the interim orders. Consequently, very few of the 1.88 lakh new anganwadi centres have become operational in the states. Even when the government did act, it chose to contest the figure for making the programme universal. It has still not agreed, as its correspondence with the Commissioners of January 23, 2006 shows, to a minimum of 14 lakh anganwadi centres. After an intervention by the Commissioners, the matter is now sub-judice in the SC. Most state governments continue to retain contractors and have not decentralised the provision of supplementary nutrition to women’s self-help groups despite the unambiguous orders. The battle against the contractor lobby is likely to continue for some time even as they innovate ways to retain their interests in the ICDS. The Commissioners have pointed out in a note to the SC, discussed at the July 17 hearing at the SC, that the new norms proposed by the Government of India in fact go against the principle of decentralisation. Despite the odds, the Commissioners office and the legal team have got the overwhelming support of civil society organisations. This support adds strength to their intervention and it is special because working on the details of government programmes has not been a significant area of work for many of these organisations. Compliance with SC orders has been strongest where local mobilisation has been successful. This has reaffirmed the limited role that legal action on its own can play in securing rights. It has also re-established the strength of mobilising people to assert their rights. The right to food is a political issue that can be resolved only through political means and will not lend itself only to a legal solution. However, this case has also established the ways in which the law can be a facilitator and a catalyst. This, amongst others, may be one of the lasting contributions that the Right to Food Campaign in India will make to the rights discourse in India.